Most people recognize the process of neighborhood gentrification: A once affordable neighborhood with character becomes transformed by wealth into a place that the very people who nurtured the character of that place can’t afford to live in anymore (or don’t even want to). With a moment of thought, you can probably think of a few examples of linguistic gentrification too: Everyday, “non-standard,” yet uniquely expressive language gets repackaged as cool, trendy, even standardized—so much so that the original users may no longer want to use it. When neighborhood gentrification strikes, features of old run-down structures originally organic to a way of life—like a breezy front stoop or an original ice box—get repurposed as signs of sophistication. Likewise, linguistic gentrification: Features of language originally part of a way of life—and some looked down on in schools or marked as “non-standard”—become markers of sophistication, local knowledge, or social cachet. Often these gentrified features originally come from speech typified as “African American.” Those very features deemed “non-standard” resurface as expressively powerful, and get used by white people. 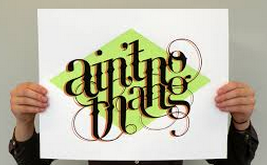 So, while most English teachers will decry the use of a “double negative” as incorrect, students in an Ivy League University will use the phrase, “Ain’t nobody got time for that!” strategically and to great effect (see previous post, Language Awareness II). “Shawty,” “salty,” “jawn,” and the ubiquitous, “yo” are other words gentrified by suburban Honors English 11th Graders. 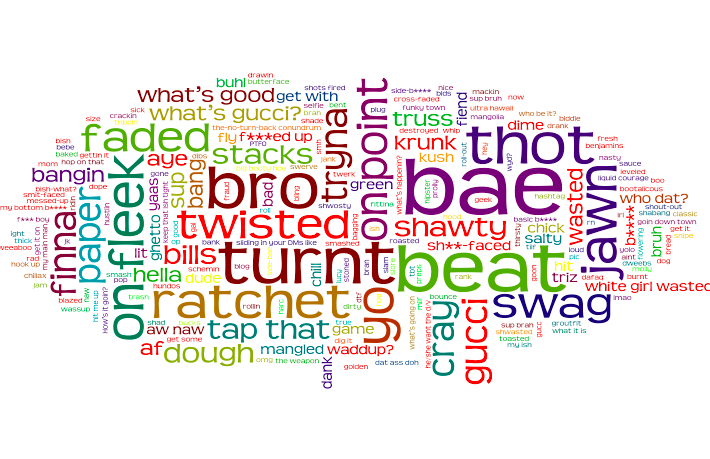 But when asked about “finna,” “salty,” or “shawty,” few students can provide a sense of the social history of these words, aside from their own personal contact with them. Most assume they just were part of auto-tuned YouTube songs or funny Vine videos that somehow went viral. A few mention Kanye West as a good source of these expressions. 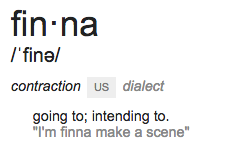 In conversation, one student mentioned that “finna” might come from “fixing to,” a “Southern” phrase. But, others had no idea that “finna” might be parsed that way. Just as neighborhood gentrifiers vary in their knowledge of the history of the city they occupy, linguistic gentrifiers have varying levels of awareness of the historical foundation for these words, phrases or features of pronunciation. And, newcomers to words and phrases like “salty,” “ain’t nobody got time for that,” or “finna” use them with wide-ranging degrees of finesse. Some gentrifiers—of cities and language—surely recognize underlying character and build on that. Yes! Others might lack that sensitivity, driving away residents and speakers, losing generations of history and life ways that built the original character that drew us to those places and expressions. Do you recognize linguistic gentrification around you? Do you partake in the process? What are the different types and what are their effects? Please comment!